Independent verification of how we rank compared to the competition is a huge plus when trying to demonstrate what we’re achieving at Revolve. A recent report published by Buildzoom investigated the drivers of the booming solar industry across the U.S. Their aim was to identify the most prolific residential solar panel installers and rank them based on number of permits pulled for installation (which is on public record). Revolve Solar smashed it’s way into the Top 10 for 2014 within the continental U.S. The report came at a time of celebration within the company - the very week that Revolve celebrated its 3rd birthday. 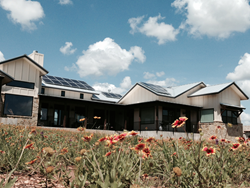 About Revolve: Revolve Solar is a residential and commercial solar design and installation company headquartered in Austin, Texas. The brainchild of entrepreneur Tim Padden, Revolve started out in early 2012 and quickly replicated its formula to compete in the Redding, Chico and Vacaville, CA markets. Continued expansion in California and elsewhere and further growth in the commercial sector are anticipated for 2015.